Tamara has a Psychology degree from the University of Colorado, and a post graduate Certification in Mediation from Colorado State University. Her insatiably curiosity about people and especially their relationship dynamics began as a small child while watching her parents, and knowing she wanted something different for herself. She began coaching almost 20 years ago with an emphasis on freedom. Most people struggle to control the circumstances of their lives so they can secure feelings of safety, certainty and comfort. Tamara works with clients to become free from the conditioned mind, so peaceful well-being and wholeness is realized as their natural state independent of circumstances. Tamara considers herself to be a consensus disruptor with no desire to fight against the status quo, but rather to create something new founded upon the sovereignty and uniqueness of each individual. When facilitating relationship clients, she guides them beyond the declining paradigm of relationships based on the value of what partners do for one another and what they get from each other toward a new freedom-based paradigm. Without any predetermined agenda, relationship can transform into a space where partners simply enjoy one other and encourage each other’s growth and freedom through support that doesn’t bind, control, obligate, exploit, extract or expect. 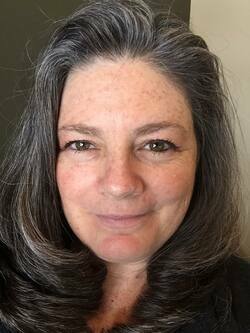 For nearly 20 years, Tamara has practiced numerous energy healing modalities and been a student of energy medicine. In 2017, Tamara became a BioEnergetic Wellness Practitioner to further augment her coaching practice. Her work as a NES Health Practitioner supports clients to dissolve blockages and distortions in their body-field that bind them to limiting subconscious patterns, which often obstruct and even inhibit their cognitive efforts to make the life changes they desire. Tamara deeply values freedom and transformation, and commits herself to those ready to answer the call to liberate themselves. Her philosophy is perhaps best revealed through the following quote. "To compromise yourself is to suffer. To hold the pretense of appearances as more valuable than what is genuine creates a position of constant struggle. It makes life feel hard.